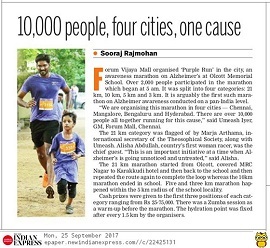 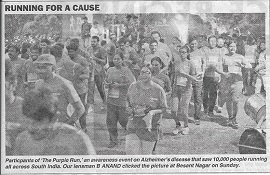 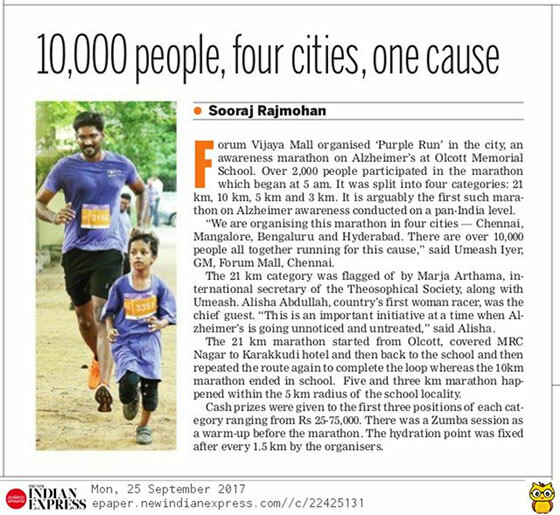 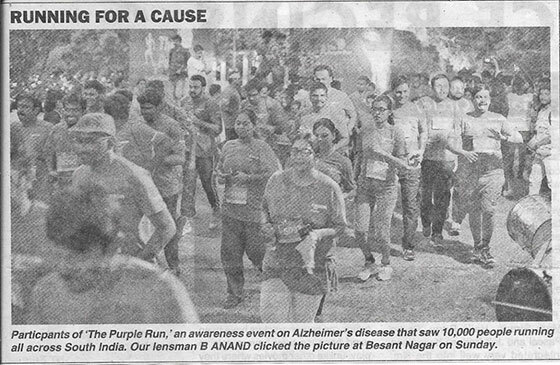 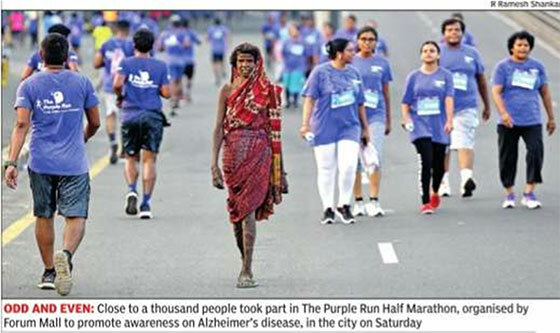 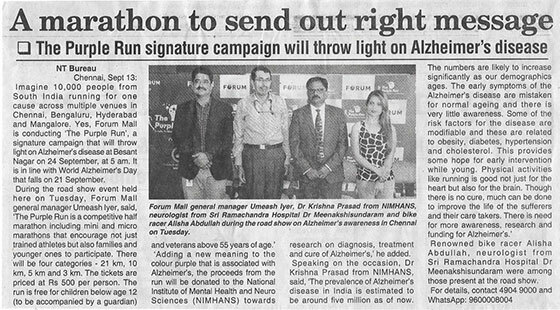 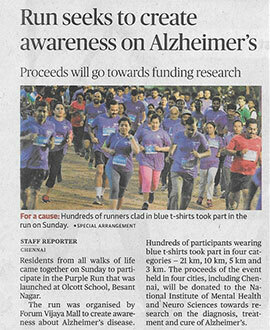 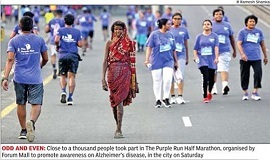 The Purple Run, South India’s first marathon for Alzheimer’s awareness was flagged off from 5 destinations on the dawn of 24th September. 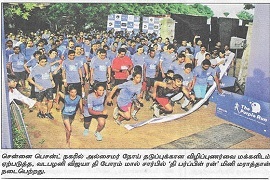 The venue for Chennai- Olcott School, Besant Nagar was flooded with over 1600 participants for multiple categories. 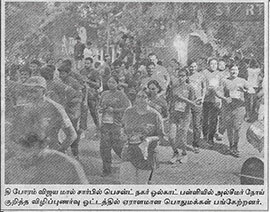 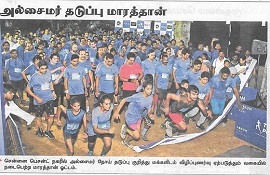 Ms. Mariya, International Secretary for Theosophical Society flagged off for the 21km & 10km while RJ Syed & RJ Mercy from fever FM flagged off the fun & family crowd of 3km & 5km. 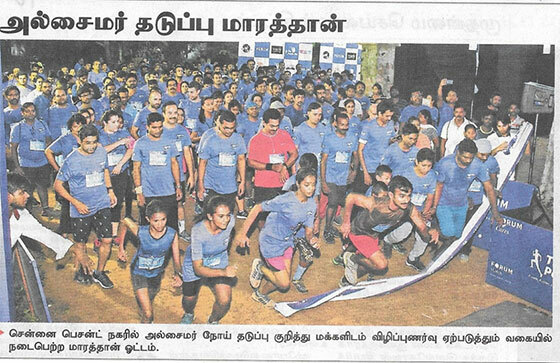 The massive event came to conclusion with the announcement of winners in the presence of Chief Guest Mr. Subbiah Viswanathan, COO Apollo Hospitals.